Sold in cases of 50pc. 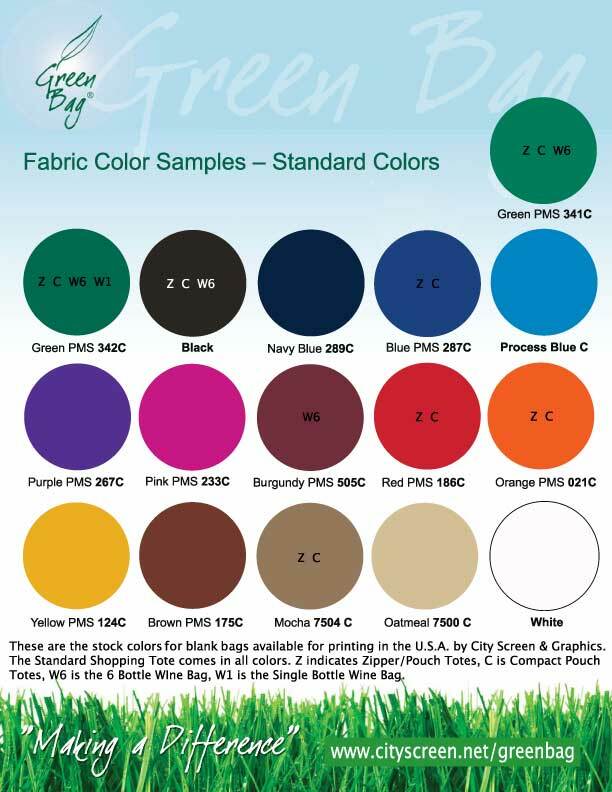 of one color, cases of different colors may be combined in one print order. Printable area is 5.25"W X 9" T centered between handles. Setup prices assume good quality, finished art source. City Screen has in-house art services to clean up, change or create print images and will quote charges upon determination of your art needs. 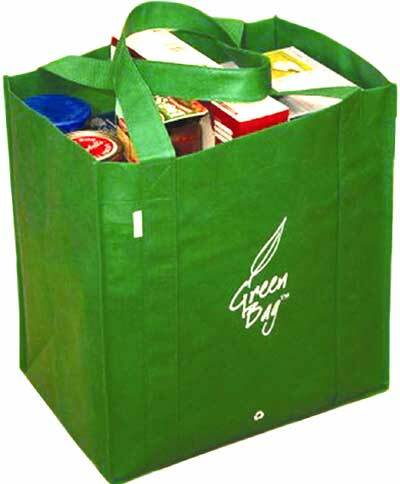 Multicolor images can be printed on the Green Bag, but there are limitations. We need to see some artwork to check printability, advise how it can be adapted to work on a Green Bag (if necessary) and quote accordingly. Please contact us if you have questions or need more info to make a decision.